I've been posting both finished and sketches there since this thread has so many broken links now. 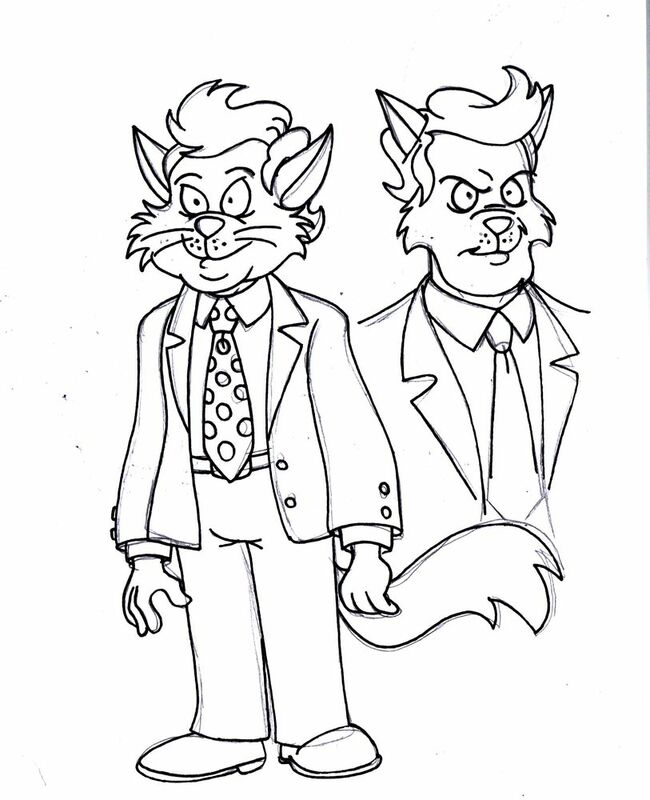 Two of the characters from my Doctors of Doom fan rewrite. Ever wonder what happened to Steel after Enter the Madkat? Now you know. 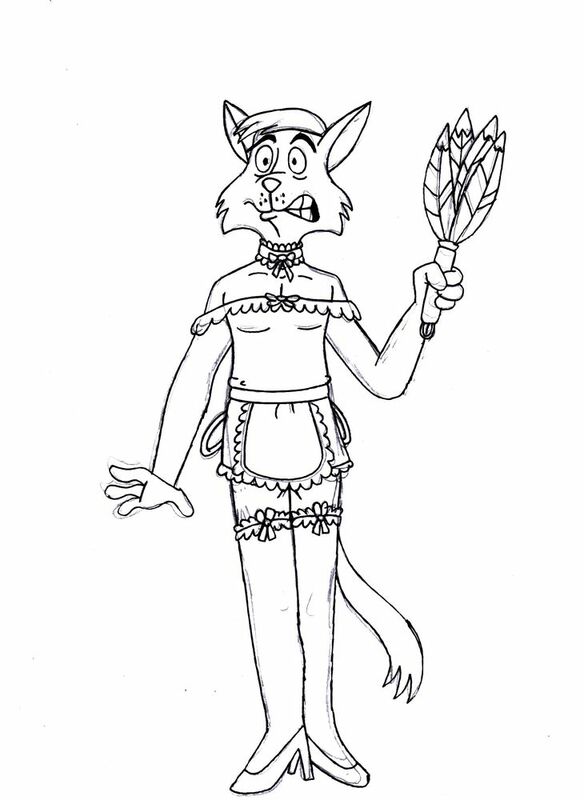 Feral demoted him to being Enforcer Headquarters' janitor, forcing him to wear a French maid outfit. Dr. Burns was an alternative energy researcher working at Megatech, until a lab accident with his experimental energy source, performed under dangerous conditions because his funding got cut and he was working alone, turned him into a being of living superheated plasma. 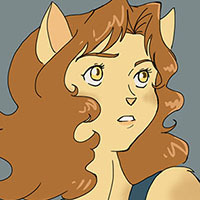 Adopting the name "Thermatron," Burns requires a special robotic suit in order to maintain a feline shape for long periods of time, so that he can actually function as something besides a sentient puddle of burning liquid energy. The suit however has special slotted gloves that allow the hot plasma that makes up his body to ooze out, so he can spray it at enemies, or use his burning touch to maim, kill and destroy as he sees fit. 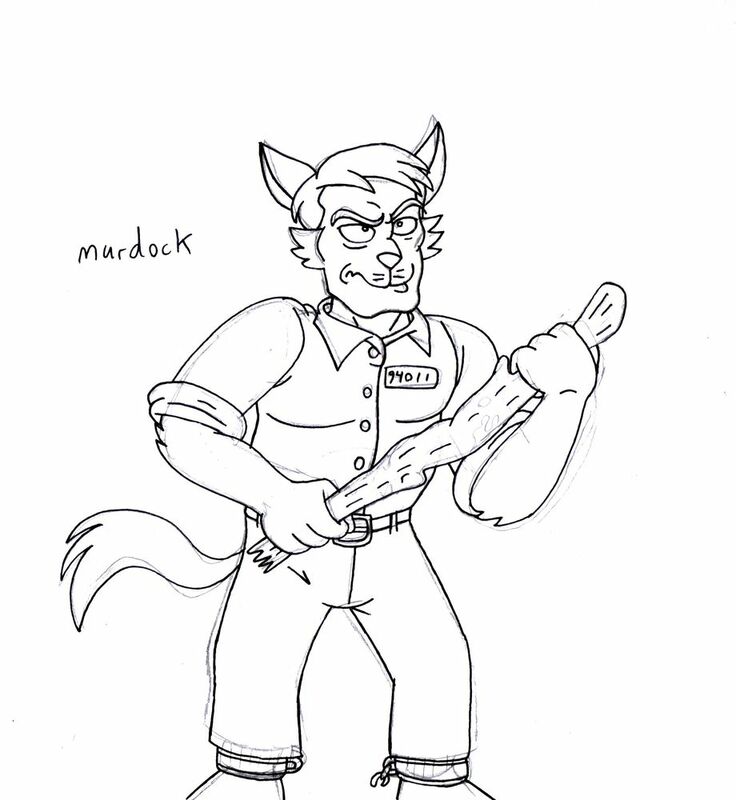 Thermatron rages at Megatech for cutting his funding, and hates of all of katkind because in his present form he is denied the basic right of physical intimacy and contact without his suit; anything or anyone he touches barehanded will be hurt of killed by his burning touch. He dares not even approach his wife, who thinks him dead. Now, with a cadre of loyal goons at his beck and call and a volcanic lair funded by money obtained through bank robberies and favors rendered to other villains (he has found he makes quite a good assassin), Thermatron yearns and burns to turn Megakat City into the hottest town on Earth... literally. 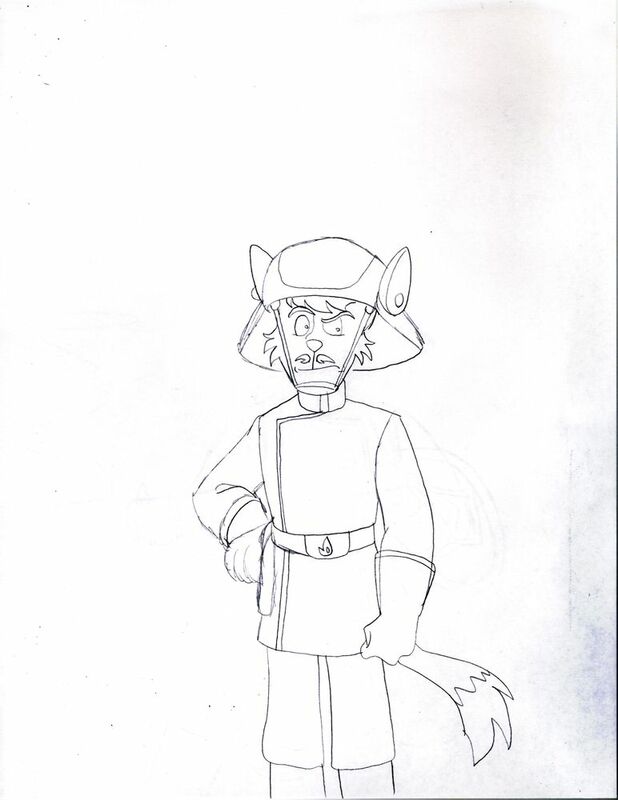 Thermatron's goons are hired hands who work for him either because he pays well or because they support his plan to turn Megakat City into a smoldering, fiery wasteland. It's no surprise his cause attracts quite a few pyromaniacs. Wearing big silver helmets reminiscent of firemen (and patterned after the Imperial Navy Troopers from Star Wars) in a mockery of those who fight to put fires out, Thermatron's goons are armed with traditional laser pistols. 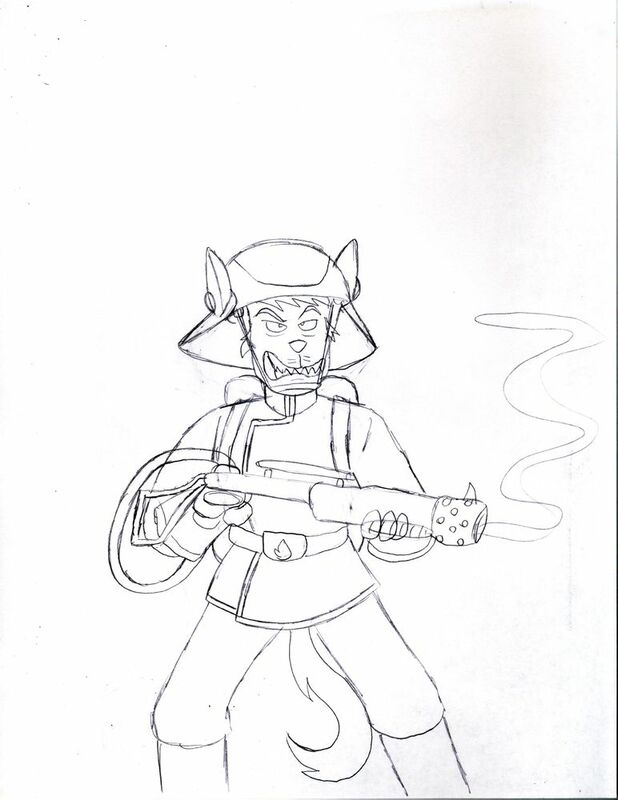 Some of the more pyromaniacal among Thermatron's goons opt to wield flamethrowers loaded not with napalm but a refined version of the once altruistic Dr. Burns' burning plasma formula. One blast from one of these flamethrowers is enough to reduce a target into fiery, melting destruction, making these goons almost as dangerous as their boss. 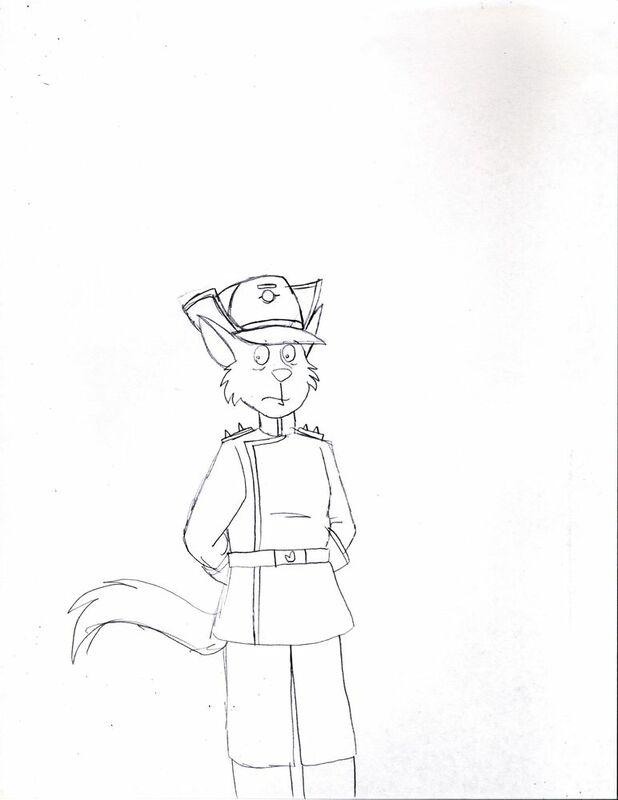 The goons are commanded by a loyal lieutenant (whose hat style is another Star Wars reference, based on the hats worn by the officers of the First Order). 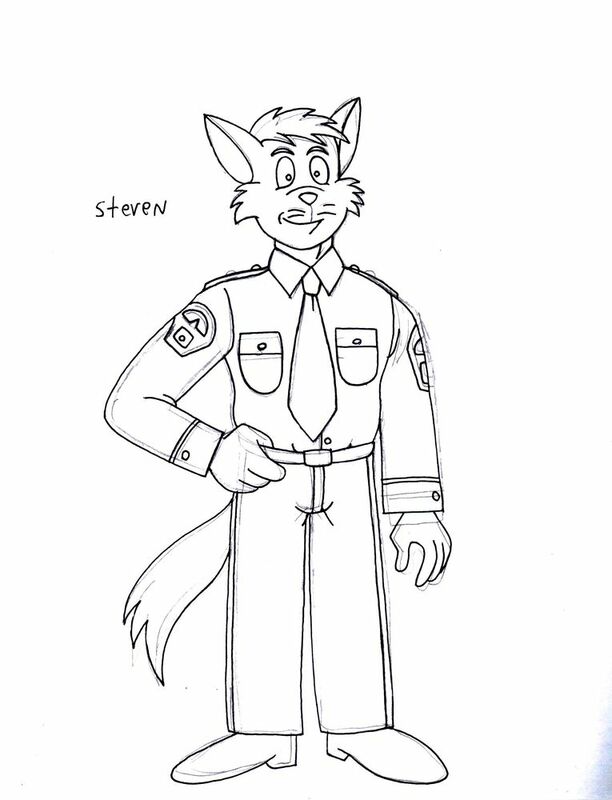 Currently unnamed, he is an acquaintance of Burns' and the only member of his inner circle who was a part of his life before he became Thermatron. Although he is no pyro, he respected Dr. Burns and once worked closely with him, and considers Burns' accident Megatech's fault, and yearns for vengeance against the energy company for turning his colleague into what he is now. They'll eventually be redone in firealpaca. 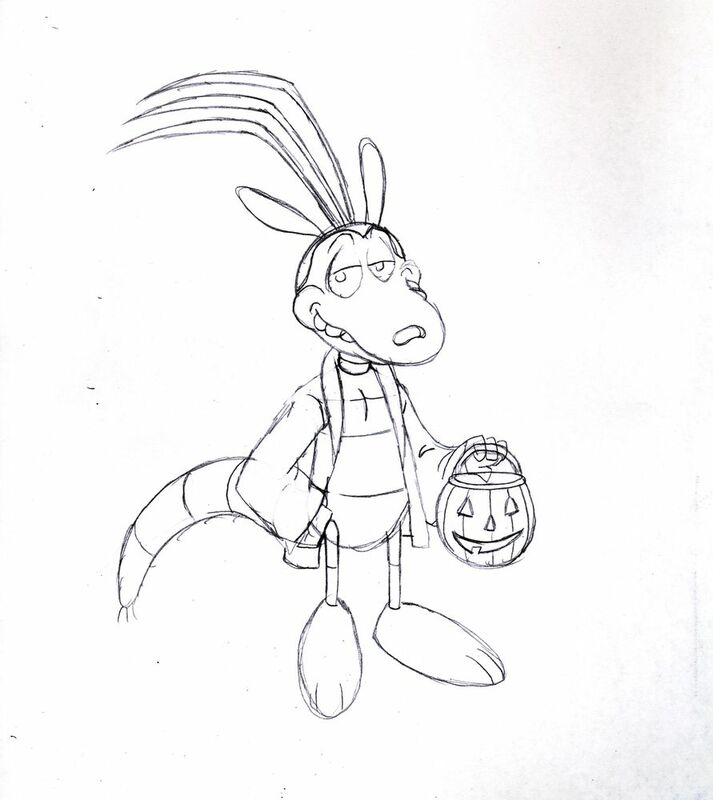 Rocko from Rocko's Modern Life's Halloween costume: Dr. Viper. zyna wrote: Everything I ever draw is a messy sketch! Hooray for me.